Show mom how much you care by treating her to a special holiday brunch buffet or dinner! 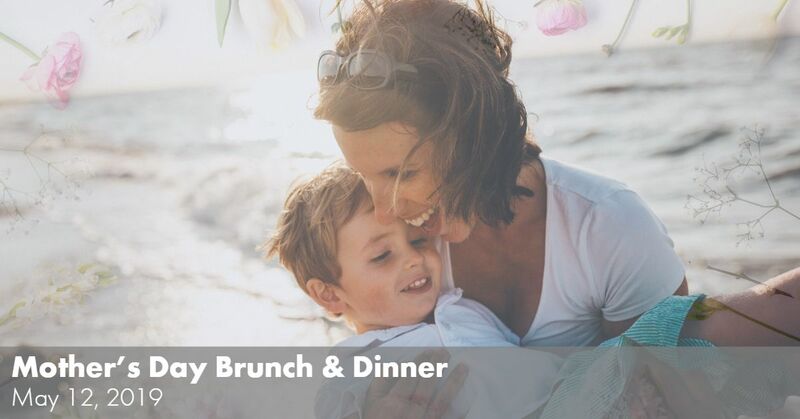 Make it a mom-entous occasion Sunday, May 12 with an award-winning brunch buffet at PIER 22! Enjoy waterside views and an endless assortment of fresh seafood, prime rib, omelets, biscuits and gravy, salads, pastries, Danishes, desserts and more! Plus, mom-mosas and bloody marys are on special throughout the day for just four bucks! Buffet Menu: See the complete chef-created buffet menu here! Entice your taste-buds with fan favorites like lobster bisque, Alaskan king crab, buffalo ribeye, roast duckling, cheese cake, cobbler and more! Plus, mom-mosas and bloody marys are on special throughout the day for just four bucks! Time: Starting at 4 p.m. Ending at 10 p.m. Mother's Day Dinner Menu: See the complete chef-created Mother's Day dinner menu here!